Vector graphics of various skull illustrations. 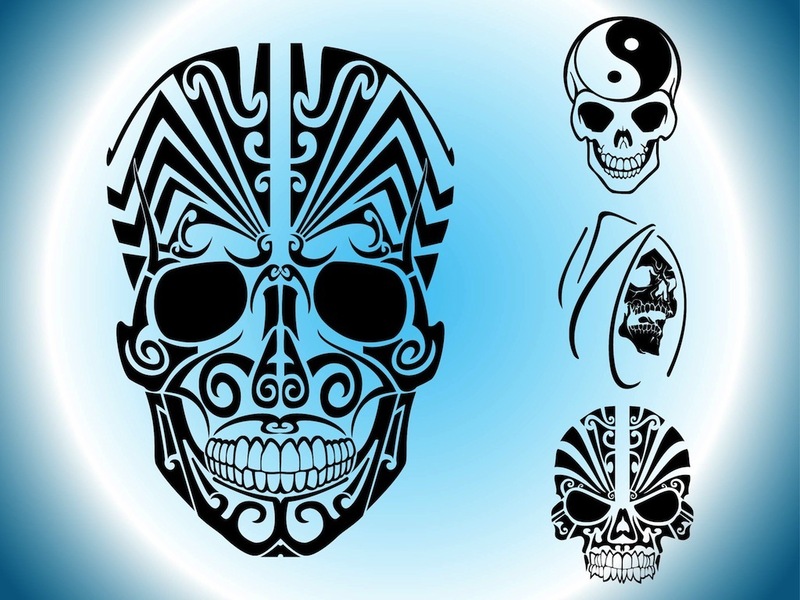 Evil skulls with big teeth and faces covered in detailed tribal tattoos, Grim Reaper face with abstract lines forming the hood of the character and a smiling skull with a Yin and Yang symbol on the forehead. Free vector graphics for all dead, death and tattoo projects. Tags: Death, Decals, Grim Reaper, Halloween, Scary, Skulls, Tattoo, Tribal.